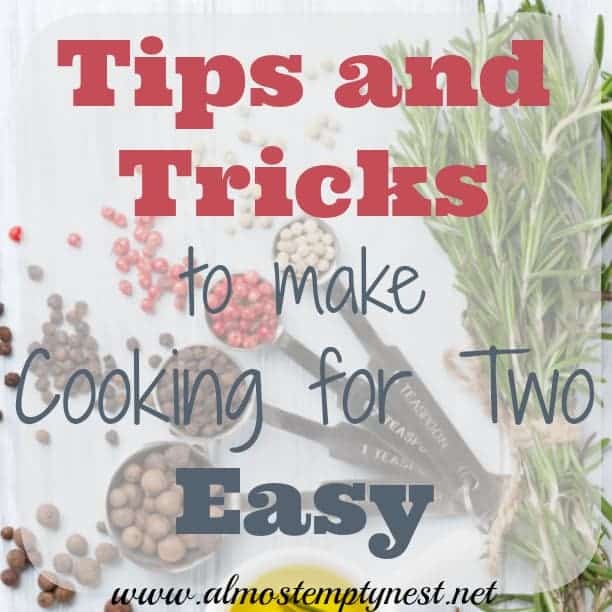 I have started reworking some of our favorite recipes into crockpot recipes for two people instead of five because my husband and I are finding ourselves without our kids at meal times more and more. This used to be such a rare occurrence that we went out to dinner when they were not with us. But now it is happening once or week or more. I cannot remember what we ate for dinner before we had children, but it probably was not anything I wish to duplicate now! The convenience and ease of a slow cooker is not something I want to give up even if I am not cooking for a crowd. Below you will find my adapted recipes for Beef Stroganoff, Chicken Tacos, and Chili. I am currently cooking my way through: “The Complete Cooking for Two Cookbook: 650 Recipes for Everything You'll Ever Want to Make.” This cookbook contains 20 Slow Cooker Favorites adapated for 2 people. I have a 6 quart All-Clad Slow Cooker. It handles smaller recipes great! Place all ingredients in the slow cooker except noodles and cream cheese. (If you desire, you can brown the meat first, but it is not necessary.) Salt and Pepper the meat. Cook on low for 8 hours. (Or on high for 4 hours). Cook about 1/2 the noodles according to the package directions. Save the remaining noodles to cook and eat with the leftover meat. Stir the cream cheese into the meat sauce just before serving. Serve the meat and sauce on top of the noodles. Place everything but the shells and toppings in the slow cooker. Stir the ingredients a little to combine. Set the slow cooker to the low setting and cook for about 5 hours. Remove the chicken from the slow cooker and place on a cutting board. Shred the chicken. Cook the taco shells according to the package directions. Put the meat and toppings into the taco shells. Brown meat and onion with the salt and pepper. Transfer to a slow cooker. Add tomato sauce, beans, and spices. Add broth from cooking meat to thin to desired consistency. These Crockpot Recipes for Two are great, not only for empty nesters, but also for college students and anyone who does not need to feed an entire family. I modified the chicken tacos and beef stroganoff instructions for those with very little cooking experience for my son when he moved into his first apartment. Those recipes can be found in my First Apartment Care Package post. Saving these in hopes that hubs (the family cook) will finally decide to use his slow cooker on weekdays. I hope he does break out the slow cooker. Great way to cook! Usually recipes for crockpot meals make HUGE amounts. 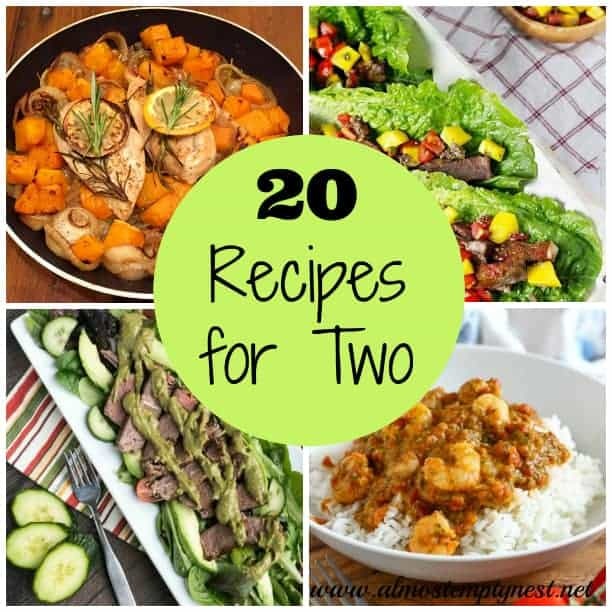 Great suggestions for cooking just for 2! Great idea to cut it down to something more useable so you don’t have a ton of leftovers. I would have to double it but I will pass this on to my mom as well since this is perfect for her. I’ve never made chili in the crock pot. I’ll have to give that a try! Thanks for the recipe! I am making meals for a young mother of one who’s husband just passed away so she can focus on working to provide for her daughter. I would like to have recipes that are freezable and crock pot friendly. I understand. When my kids were young I would prep meals by putting all of the ingredients in a freezer bag, then freezing. When it was time to cook, I just placed the contents of the bag in the crockpot and it was good to go. Some things can’t go in – like the cream cheese in the beef stroganoff. But everything else can be placed in the bag and taken to your friend. What size slow cooker are you using for these? I use my 6 quart slow cooker. A big slow cooker works just fine with the smaller recipes.